Steenkamps: 'Ten months is not enough' Jump to media player Oscar Pistorius is set to be released on probation on 21 August. 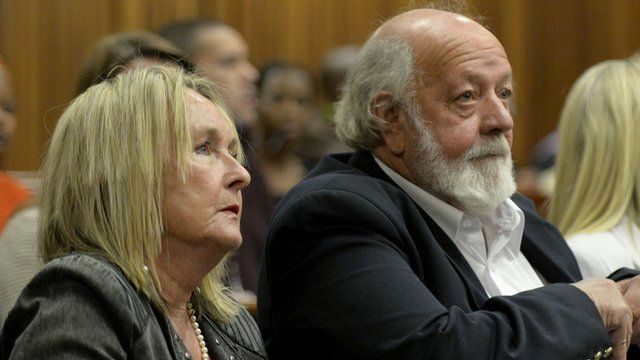 The lawyer for Reeva Steenkamp's parents has said that the ten months in jail "is not enough". Pistorius due for parole in August Jump to media player The Olympic athlete, Oscar Pistorius will be released on probation in August having served 10 months in jail for killing his girlfriend Reeva Steenkamp. Pistorius: What is the TV verdict? Jump to media player By allowing cameras and microphones into the courtroom - did the South African authorities create an educational moment - or was it simply a circus? Tania Koen, a lawyer for Ms Steenkamp's parents Barry and June, said that while the two had forgiven Pistorius, "ten months is not enough".